Birthday clubs should create a buzz year-round. Whether you are a dedicated human resources employee or a staff member who has been asked to come up with ideas for recognizing employee birthdays, it’s a good idea to create activities that increase company loyalty with high-profile recognition. A birthday club gets employees involved in the fun beyond showing up for a piece of cake. There’s no formal definition that sets the rules for a birthday club, so be creative in developing yours. 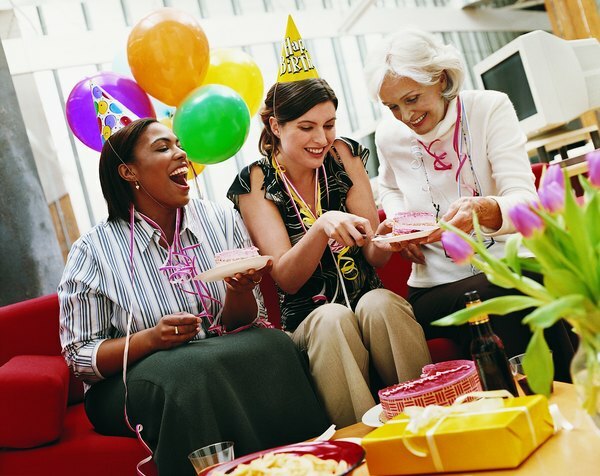 The club might be a set of perks for employees during their birthday month, such as preferred parking the week of their birthday, an office celebration, a day off or a subsidized lunch out. As long as employees sign up and sign a waiver releasing the company from any liability, they can be members of the club. A more formal club requires employees chipping in money for a specific benefit. 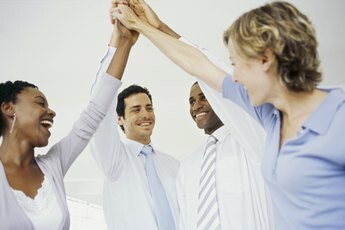 Discuss with you co-workers what type of club they would like before announcing your decision. Getting employees to sign up for a club might relieve your employer of some legal issues that could arise with identifying employees’ birthday. Some of your peers might not want to celebrate their birthdays for religious or other personal reasons. Others might be wary of identify theft issues. Talk to your legal counsel about what you can and can’t divulge about employees’ birthdays and how to handle donated money. At the very least, be sensitive and don't post employees' birthday years. 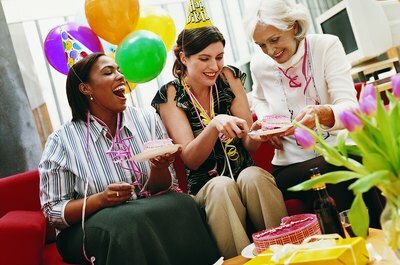 Consider a monthly birthday party for employees who have a birthday that month. Employees sign up for the club and pay a small fee, which includes their birthday treats and a chance to participate in each month’s activities. Have the office decorated when everyone arrives with a list of employees who are being recognized displayed. Have a post-lunch, cake-and-ice-cream break with a grab bag of presents birthday celebrants pick. 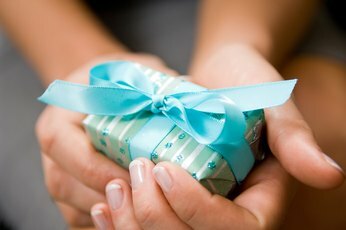 Presents should be of equal value, such as gift cards to local restaurants or stores. You might have the company pay for the party and employee contributions used for grab bag gifts. Let employees take their birthday off as an annual perk. Don’t miss the opportunity to make birthdays a public celebration by recognizing these folks in advance in the company newsletter or with signage on the day they are gone. Make sure everyone at the company knows the company recognizes their special day. If the cost of free work days is a concern, consider creating a birthday club that lets employees bank one hour of free work per month they can use to take their birthday off. To add an employer contribution, give employees one hour off for each hour they work “free.” When they work four hours without pay, they get four hours from the company, resulting in an eight-hour paid birthday off. Meet with area businesses to see if they’ll offer some sort of discount or freebie for employee birthdays. Meet with a restaurant and suggest ideas such as the birthday girl eating free or for half off when a prescribed number of fellow employees dine with her. Negotiate the table getting free appetizers and a free dessert with a candle and song for the celebrant. Ask about receiving an agreed upon percentage off the tab when the table spends a certain amount of money and ask your company to participate. For example, the restaurant takes 25 percent off, and your company throws in 25 percent so employees eat half price. Spas, theaters and other merchants might offer a discount on employees’ birthdays. If you can negotiate a variety of attractive discounts at local stores that encourage employees to sign up, you can use their registration fee to pay for a monthly office party. What Are the Benefits of Workplace Cafes? Why Should People Be Nominated for Employee of the Month?